WWE's Smackdown World Tour 2012 at Ryogoku Kokugikan in Tokyo - 6,873 spectators. (1) U.S. champion Santino Marella beat Cody Rhodes and WWE tag champion Kofi Kingston at 8:00 in a three-way match to retain the U.S. Title. Marella won following the Cobra Strike. (2) Ted DiBiase beat Jinder Mahal at 7:33 following the Dream Street. (3) Kelly Kelly beat Natalya at 6:62 following the K2. (4) Wade Barrett beat Justin Gabriel at 7:04 following the Winds of Change. (5) Kane beat Daniel Bryan at 17:00 following a Chokeslam. (6) Rey Mysterio & Zack Ryder & Yoshi Tatsu beat Jack Swagger & Primo & Epico at 16:38 in a six-man tag match. Mysterio won with a Diving Body Press on Swagger. (7) Randy Orton beat Alberto Del Rio at 13:41 following the RKO. (8) World Hvt. champion Sheamus beat Big Show and John Laurinaitis at 11:07 in a handicap match to retain the World Title over challenger Big Show. 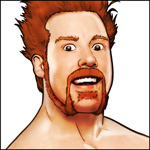 Sheamus won following the Brogue Kick. Notes: Pretty standard house show. The "Yes!" chants were alive in Japan, and Tatsu got a big home welcome from the fans... Barrett seems to be coming back strong, and he was wearing an elbow pad with a brace during his match... Orton got a decent cheer and a few fans had signs up for him.